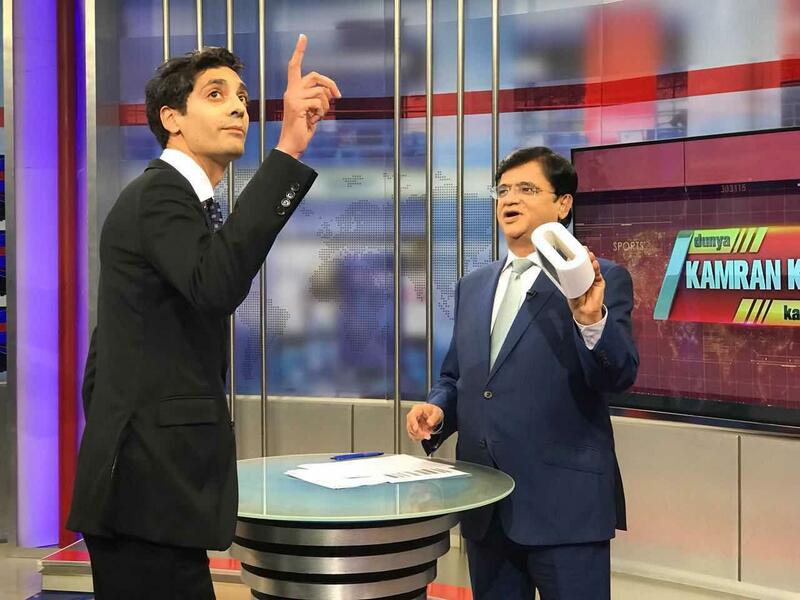 Abid explaining his Pakistan Air Quality Initiative with an AirVisual monitor on prime time TV in Pakistan: "Dunya Kamran Khan Kay Sath" on Dunya News. As winter gets underway, so too begins another distinct time of year in Lahore, Pakistan’s second largest city - pollution season. Over the past few weeks the onset of this “fifth” season has been dramatically apparent, with numerous reports of smog greatly reducing visibility, slowing the country’s daily activities and leading to increased road accidents, flights cancellations and delays. Despite the evident effects of this thick pollution, until now, Pakistan’s government has not released any real-time, official monitoring data to openly quantify the level and hazard of the smog. However - over the past week, the actions of one passionate clean air activist has exploded the national debate right up to government level, armed with his citizen network of AirVisual air monitors and irrefutable data. 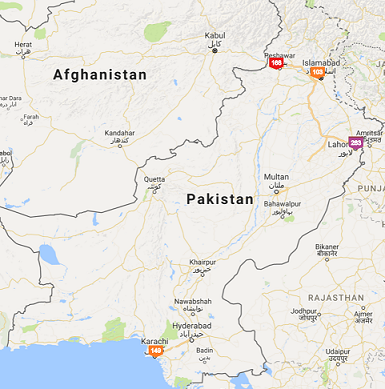 Abid Omar, a long-time Beijing resident recently returned to his home country of Pakistan, decided to take his country’s lack of public data into his own hands by setting up a network of 6 public, outdoor AirVisual PM2.5 monitors within the hearts of 4 major cities: Lahore, Karachi, Peshawar and Islamabad. These have been measuring and broadcasting the cities’ air quality readings since January 2017, both through the AirVisual app and website and Abid’s own dedicated community platform, the Pakistan Air Quality Initiative. Motivated by his time living in Beijing, Abid observed to us that a main difference in facing the problem of pollution within China and his home country was people’s level of awareness. In Pakistan, without data ‘people just think it’s foggy’, while in Beijing, live air quality measurements are broadcast in elevators and on TV screens alongside weather information. ‘That’s what awareness looks like’, says Abid. His Initiative strives to promote similar awareness levels in Pakistan, drawing inspiration from the US Embassy’s game-changing campaign of tweeting air quality measurements years ago in the Chinese capital. In Lahore, Pakistan’s 2nd-largest city, Abid’s monitors have revealed startlingly high AQI levels over the past couple of weeks. 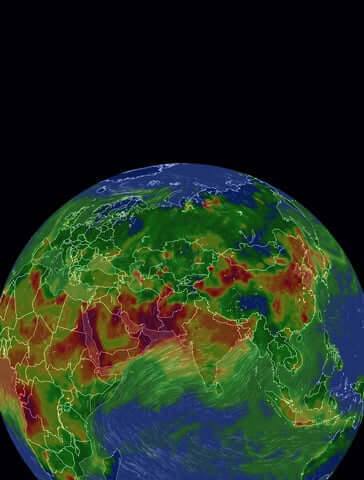 Lahore has topped AirVisual’s hourly, global air pollution Major City Ranking numerous times, above notorious “smoggy cities” such as Beijing, New Delhi, and Dhaka, sparking considerable debate on social media. 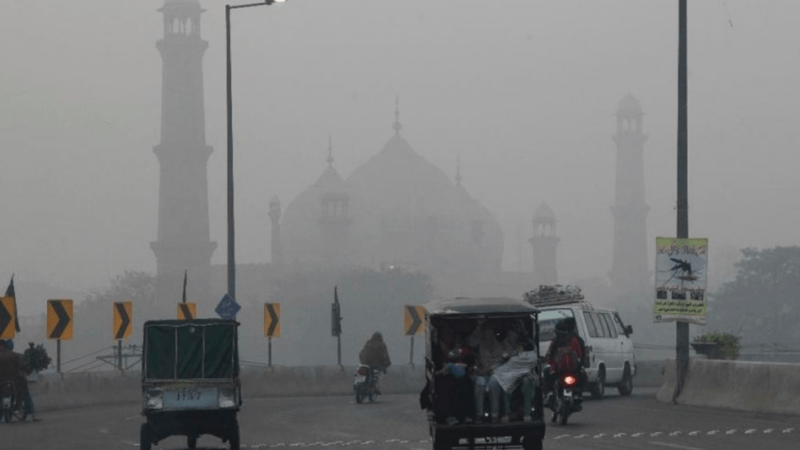 The impact of AirVisual’s monitors has now escalated a level further, once public response to the stifling smog prompted a public interest petition to be heard by the Chief Justice of Lahore’s High Court last week, to review governmental response. Following requests for data from the Environmental Protection Agency, Abid provided his monitoring network’s historical data to the hearing as supplementary evidence. Rafay Alam, an environmental lawyer based in Lahore was appointed the hearing’s amicus curiae, and brought an AirVisual monitor with him into the courtroom on Tuesday 14 Nov.
Alam produced his monitor for display early into the proceedings, bringing a shocking discovery to the courtroom: that the indoor air quality even during the hearing measured 400+ μg/m3 of PM2.5 (that equates to US AQI 434+, well over the highest “Hazardous” tier threshold). The Court then asked for a reading to be taken outside, which showed as close to 500μg/m3. Alam recounts that this revelation ‘changed the nature of proceedings’. The hearing subsequently consulted the government’s existing Smog Policy. Under the current policy, the hearing found that any PM2.5 reading above 300μg/m3 was to be considered ‘Severe’ – the highest category. Upon demand, the government EPA was then asked to disclose their previously unpublished readings from a set of recently installed air monitors. Quickly summoned by 6pm the same day, these measurements emerged as similar to the AirVisual monitor’s for the same time. The hazardous pollution indicated by the AirVisual data thus validated, the Court ordered the Government of Punjab to prepare and submit an updated smog response policy the very same day. A Court Order has since been released, outlining a temporary ‘Smog Health Emergency Action Plan’ to be put into place immediately, with a more detailed plan to follow within 3 months. The Order also demands that the government monitoring readings be published once-daily online, until real-time data is also possible to share. We eagerly wait to see the results of these new policies and their impact on air pollution in Lahore and greater Pakistan. Meanwhile, Abid’s proactive commitment to raising awareness of local air quality readings reflects the enormous impact a community member can have using data to effect change. With growing public attention mounting by the day, Abid’s crowdsourced network marks the beginning of what could be a landmark change in a nation’s attitude toward one of its most pressing problems.